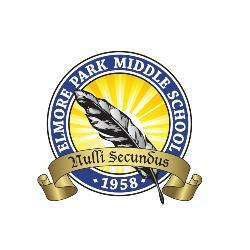 Elmore Park Middle School seeks to engage each stakeholder in accepting 100% Responsibility while building lasting Relationships in order to produce extraordinary Results. We believe excellence in teaching and learning is a process of planning to align strategies, materials, and assessments in order for each learner to demonstrate growth in their educational path. We believe middle school students will be productive in an environment conducive to safe decision making where students can develop age appropriate life skills, embrace ownership of choices, and increase responsibility and empathy.